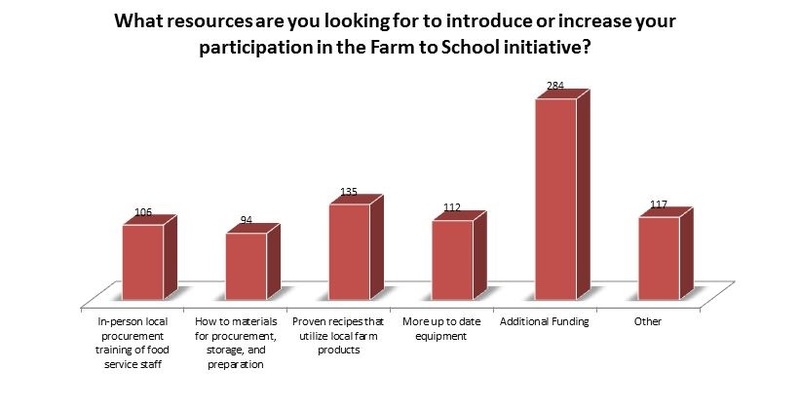 During the 2016-2017 school year the NYSED Office of Child Nutrition and The Department of Agriculture and Markets came together to collaborate on a Farm to School survey. 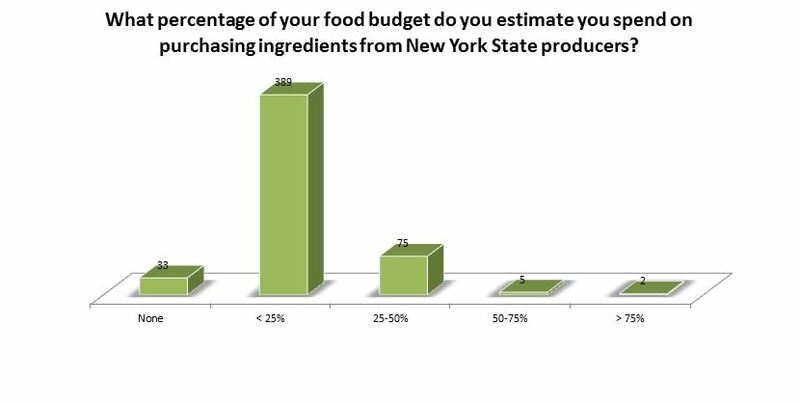 The survey intended to collect information about what schools were buying from New York State farms and how they were integrating those foods into school meals. See original survey. Do you use ingredients from New York State farms in your school meals? 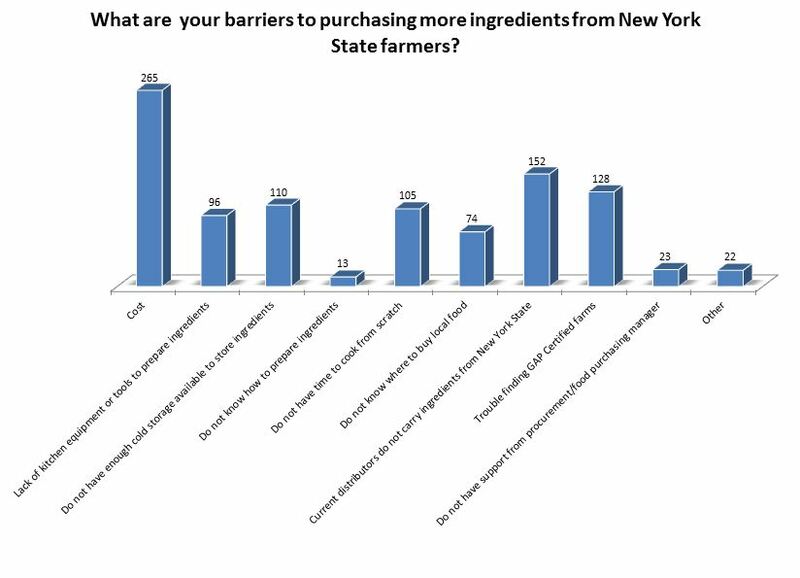 of schools surveyed say they use ingredients from NYS farms. If No, why are you not using ingredients from New York State? 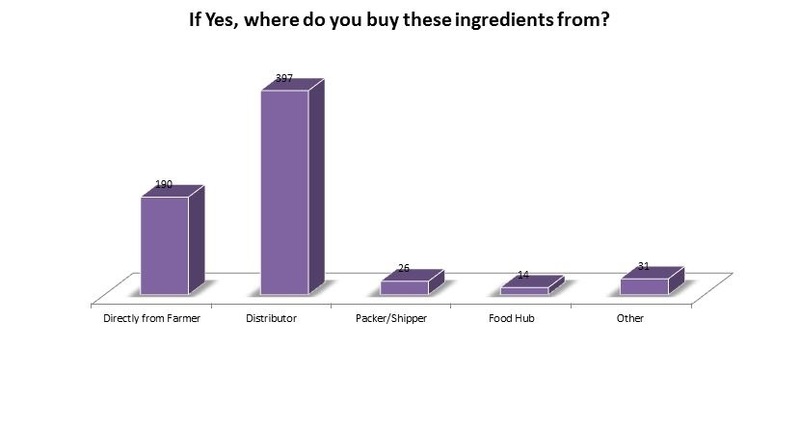 What ingredients from New York State growers would you like to purchase more of? *Would like to purchase everything if they could get it at a competitive price. 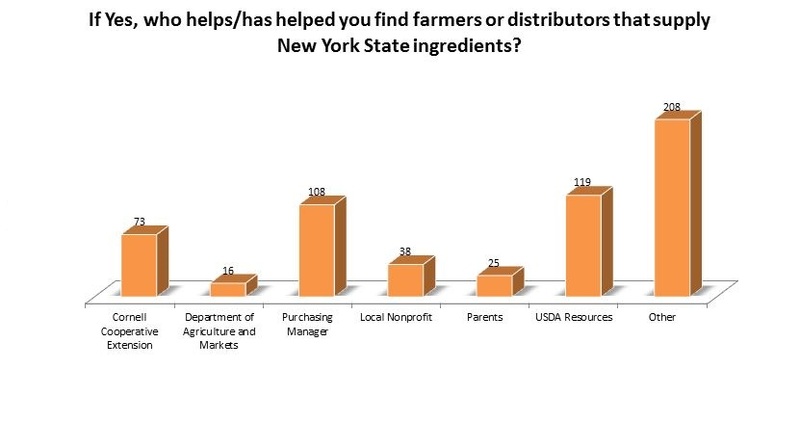 If you are not currently purchasing local ingredients, what would you like to purchase from New York State growers? 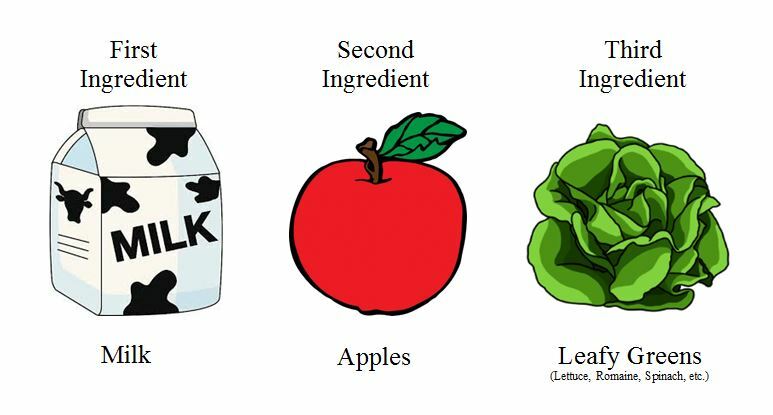 What are the three most common ingredients served in your meal programs that are produced at New York State farms?